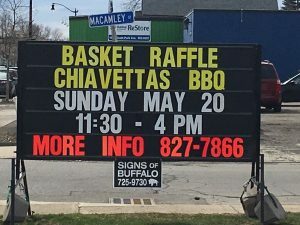 Using a portable sign to promote your event or fundraiser is easy and affordable. 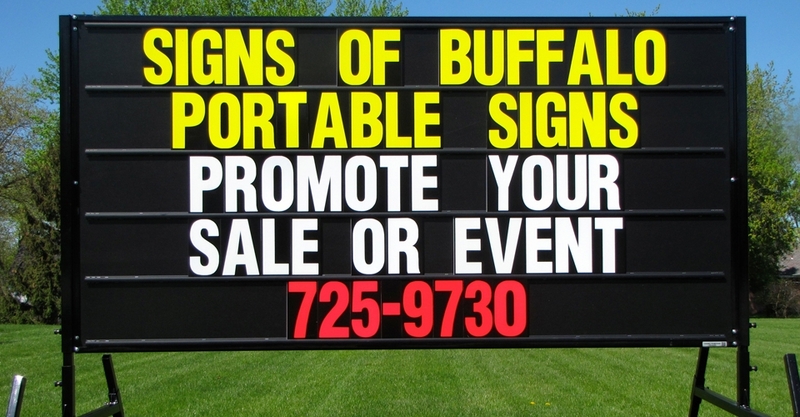 We use high quality 4’ x 8’ Black Signs. 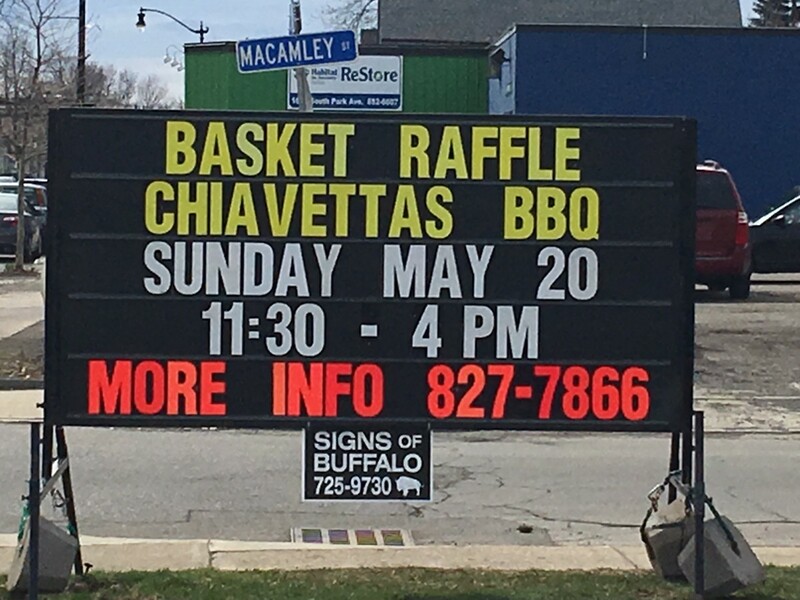 Here is an example sign used to promote a basket raffle in Buffalo NY.